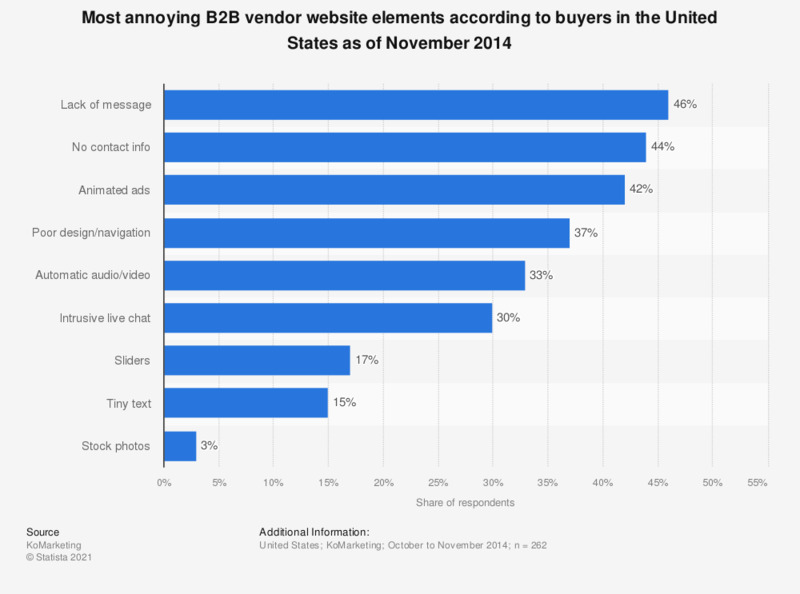 The statistic presents opinions on leading annoying vendor website elements according to B2B buyers in the United States as of November 2014. During the survey, 42 percent of all respondents stated that animated ads were the most annoying elements on vendor websites. Survey respondents include Presidents and CEOs, COO/CFO/CTO/CMOs, Managers/Executives, Directors and VPs, Analysts and Specialists, and Consultants. Women: Are you more likely to frequently visit websites that you consider to be well designed?